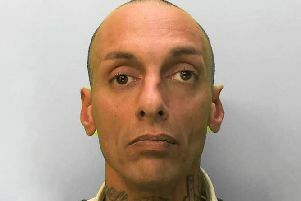 Sussex Police has released information about numerous crimes under investigation in the Chichester district this week. Can you help solve them? Police said numerous arrests have been made this week, for offences including; grievous bodily harm, affray, domestic violence assault, common assault, harassment, possession of a knife, endangering safety on a railway, actual bodily harm, theft from a motor vehicle, possession of Class B drugs, excess alcohol, wanted on warrant, fraud, shoplifting, assaulting a police officer, possession of Class A drugs and arson. Sussex Police asked people with any information regarding an incident or crime to report it online or to contact them on 101 quoting the reference number provided. You can also police at 101@sussex.pnn.police.uk, call 101. Alternatively you can contact the independent charity Crimestoppers, anonymously, on 0800 555 111, or online at www.crimestoppers-uk.org.